A significant number of couples in this day and age execute premarital agreements—also called prenuptial agreements—to help settle any potentially thorny issues before their marriage. However, not every premarital agreement can be implemented as written. Some provisions are contrary to existing laws, and some are contrary to what is referred to as public policy. It can be more difficult to establish that something is against public policy, but it can be done, and if an agreement is found to violate public policy, it may be declared void. Public policy is defined as the principle or legal tenet that detracting from the “public good” is an event to be avoided. In other words, if an action shocks the conscience or the sensibilities of the general public, it is generally to be avoided because the public should be protected from injury if possible. This commonly comes up in issues of divorce and child custody, though public policy questions may appear in many different legal arenas. In Illinois, the Uniform Premarital Agreement Act governs such issues in regard to prenuptial contracts. In divorce and child custody issues, public policy is most often discussed when issues are put on the table to dispose of at the wrong time. For example, attempting to work out a schedule for child visitation before a divorce becomes a reality, as is often done in premarital agreements, is usually deemed to be against public policy. The same is true for child support considerations because a child has a right to support at all times, and the predetermined amount may turn out to be insufficient for the child’s needs when it actually becomes necessary. The main issue is that a provision of your premarital agreement deemed to be against public policy may render the entire agreement unenforceable. Severability clauses, which eliminate the offending provision without affecting the rest of the document, are rare in premarital agreements, despite their usefulness. If, for example, you have a provision in your agreement that attempts to set the level of child support, it will likely be declared invalid, which in turn can affect asset distribution and other, unrelated concerns. Alternatively, the premarital agreement may be so strongly against public policy that it becomes unconscionable. If an agreement is unconscionable under Illinois law, no part of it can be enforced. Usually, this occurs when the terms of the agreement are so one-sided that they bear no semblance of reasonableness. It is, however, the court’s decision as to whether an agreement is actually unconscionable; mere allegations are insufficient. 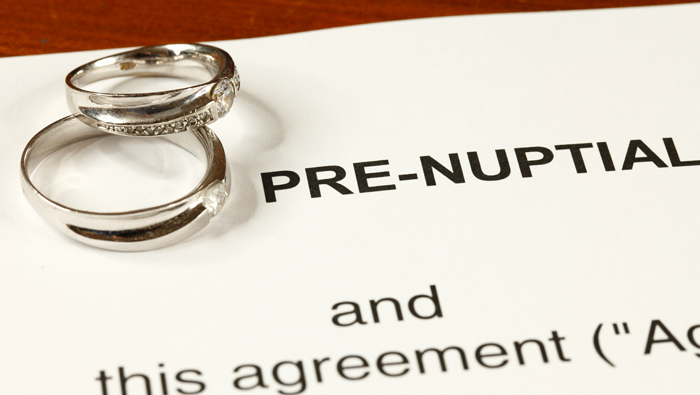 If you are in the process of developing a prenuptial agreement, contact an experienced Kane County family law attorney for guidance. We will work with you to ensure your agreement is fair, reasonable, and in compliance with all matters of public policy. Call 847-426-1866 or 630-945-8807 for a confidential consultation today.